91.8 has featured some of the most popular voice actors in the industry. With over 850 interviews with the hottest names in voice acting, music, and geekdom in their archives, 91.8 The Fan is sure to have an interview just for you. 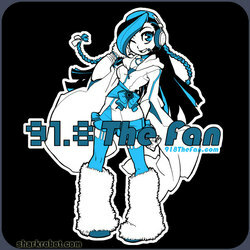 On 91.8 The Fan you will also find a wide range of writers who put out weekly and monthly articles detailing a myriad of topics, from music to anime to games. You can also see a news show every weekday highlighting the latest news, as well as convention footage from around the world, including panels, interviews, and cosplayers. Head over to 91.8 The Fan today to chat live with live DJs or your fellow fans!